Well your man might not speak Italian, but he can LOOK like one with this sharp blue/brown suit combination. I absolutely love it, don't you? 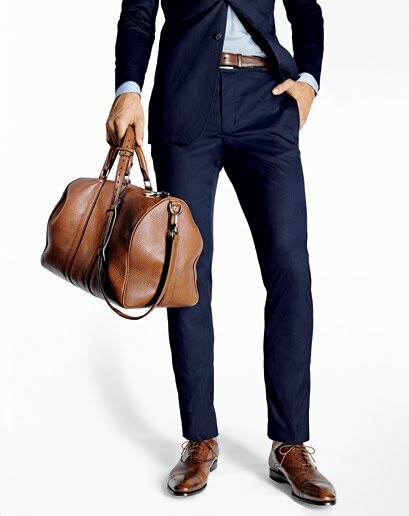 A fantastic way of bringing out the richness of a blue suit is pairing with rich brown accessories. But the blue/brown combination doesn't have to stop there. It can be vice versa and still look just as chic if paired right. I mean, how fly does this guy look? 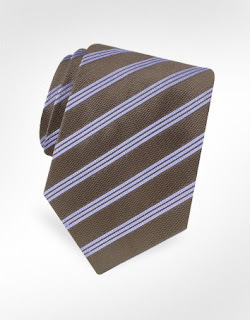 If a blue/brown suit is too bold for your guy, try easing him into the palette with blue brown accessories, like this fantastic tie and watch. How do you like the blue/brown combo?